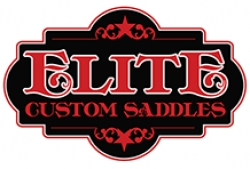 Elite Custom Saddles was established in June 2009 in the heart of horse country, Tioga, Texas, by Ray Sr and Ray Jr. It was started to provide the best handmade quality in saddles in tack. Ray Jr and Ray Sr have a combined 55 years experience in building western saddles. Ray Sr was the master saddle maker for the Silver Mesa Saddle Company for 17 years.